Did You Know Grammardog is Global? :: Grammar, style, and proofreading quizzes use sentences from literature. Did You Know Grammardog is Global? 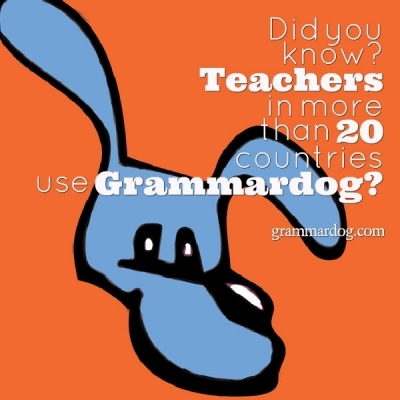 Teachers in more than 20 countries use Grammardog.